Do you ever feel like your efforts for God go unnoticed? Do you sometimes long for a wider realm of influence for your messages? In our age of self-preoccupation, it is difficult to stay satisfied with pleasing Christ alone, and all too easy to get caught up in the trap of craving affirmation from others. As ambassadors for Christ, we may even conclude that success means reaching the masses. After all, does not the great commission instruct us to do just that? To go into all the world and preach the gospel? It would almost seem like God wants each of His followers to pursue a global audience. But we are not all gifted to reach large numbers with the good news about Christ. The Billy Grahams of this world are unique. God knows who can handle notoriety without succumbing to the temptations popularity affords. He recognizes that very few of us would stay humble. One of our biggest errors, though, is to dismiss the importance to God of the one. He loves the world, and it is a world made up of individuals. People like you and me. Christ left the ninety-nine to search for the one lost sheep. He met with one woman by the well. He called every disciple, one at a time. God sent His One and only Son to save mankind. He would have done it to save a single one. Since God values every person, we should not feel slighted when our influence is small. And if our focus is on pleasing the One who really matters most, we will never be dissatisfied with reaching just one, even if nobody else notices. What will be amazing is when we get to heaven and God reveals the full impact our lives had on others. He will show us how the simple offerings we gave multiplied. We will find out that the things we thought did not matter were actually huge, when viewed from eternity. Until then, we must take our eyes and emotions off reaching the masses. Instead, we need to focus on Jesus and serve obediently, even if our offering seems way too small. God values us, each and every one. No matter the offering, He blesses and multiplies. This entry was posted in Random Thoughts and tagged Billy Graham, cherish, God, Jesus, multiplies, obedience, offerings, one on January 30, 2015 by heavenlyraindrops. If we can focus on the ministry to the one perhaps that will make us ready for ministry to the many. Yes! I love that idea. Thanks! Thank you for such a wonderful reminder! Love, love, love this post. Sometimes affecting just one significantly is far more valuable than offering a momentary thought to the masses. Sometimes I wonder why God moved me to start this blog. Sometimes I think I’ll never know. But with Him, one is enough. GREAT photo for your words! “God values us, each and every one. No matter the offering, He blesses and multiplies.”…very well said, and I am so very thankful for this! It is so easy to get caught up in comparing and confirmation from others. Thank you for this gentle reminder that I am His child and He loves me for who I am. Just me. Me, too, Becky. That God would even take notice of me. But He does! Thank you so much for this timely reminder! 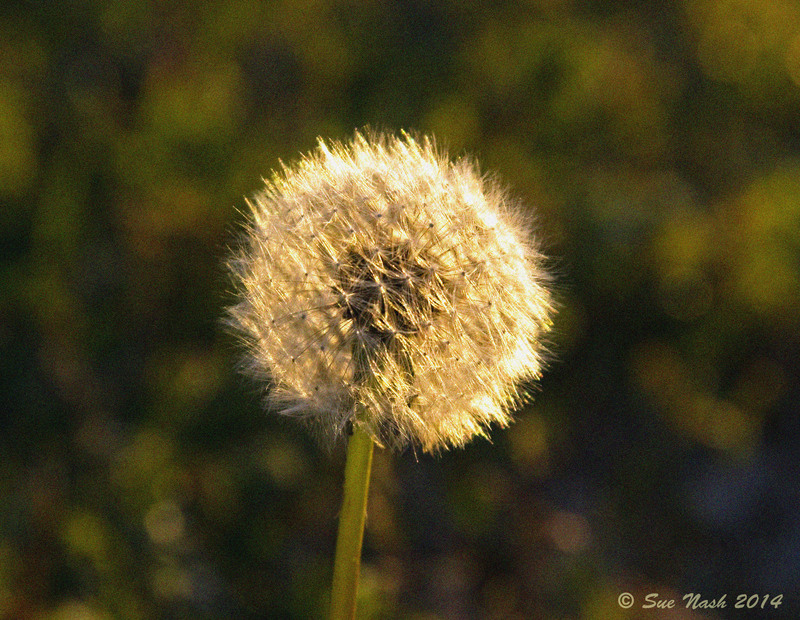 Sue, the fact that you included a photo of a dandelion with this post is what caught my attention. Five or six years ago I was feeling unproductive and as though what I was doing was of little value. Then I dreamed that I looked out the back window (this was in the D’Lo house) and our garden spot was full of dandelions. What I sensed God was saying to me through this dream was so significant that I wrote it down. Since it’s a little long, I’m going to e-mail it to you. But the idea is very similar to what you were saying in your post. Thanks for the reminder that success in God’s eyes is very different from what the world calls success. God once asked me, “would you do it for one?” As I was going to visit a friend in a Nursing home. I loved this post because ir reminded me of that day. I read a story once about two friends, both of whom became ministers. The one developed a tremendous following, regularly held services for thousands, wrote books, went on radio and television, advised world leaders. The other had a small ministry w/ only a very few elderly members at church services each Sunday. Gradually, even that congregation dwindled. But he was a humble man, and never envied his friend. After 20 years, the two friends met up again. The minister with the bare bones ministry congratulated his famous friend for all his accomplishments. The famous minister sat in on Sunday services at his friend’s church, and left the church weeping. When asked why, he simply said he could not begin to match his humble friend’s faith. Thanks for sharing that story, Anna. Matches the intent if my post precisely. Oh, to get to that point in service!